This scholarly study sheds important new light on the politics of Polish Jewry on the eve of its destruction. Drawing from sources in the Polish Jewish and non-Jewish press and from archives in Europe, Israel, and the United States, Emanuel Melzer examines the efforts of Jews in this major center of Jewish life to secure its existence and advance its interests in the late 1930s, when the radicalization of antisemitism became an increasingly prominent theme in the country’s political life. With the death of Pilsudski, the prognosis for the Polish Jews appeared increasingly bleak, as hostile forces sought to abrogate their constitutional rights and force them to leave the country en masse. The enmity they experienced drew in no small measure from the example of Nazi Germany, which did not hesitate to portray the Jews as the common enemy of Germans and Poles alike. In the face of these developments, Polish Jews attempted to wage a coordinated and concerted political battle against the economic persecution, hostile administrative practices, discriminatory legislation, and violent riots that increasingly pervaded their daily lives. Melzer recounts those attempts and analyzes their failure. Of the three primary groups among Polish Jewry—the Zionists, Agudas Yisroel, and the Bund—only the last was capable of carrying on effective opposition to anti-Jewish forces. But it was not prepared to join with nonproletarian Jewish groups in an all-Jewish defense. The Jewish press, too, was not able to forge a unified Jewish organizational framework, tied as it was to the existing political parties and reflecting their attitudes and shortcomings. The only official political voice of Polish Jewry was the small Jewish parliamentary caucus. Although respected by much of the Jewish public, the Sejm and Senat deputies were not recognized as its legitimate spokesmen and usually acted without coordinating their interventions with one another. As a result, the most effective Jewish actions were undertaken on the local level—notably the self-defense organized during the Przytyk pogrom and the stubborn battle of Jewish students against the ghetto benches. 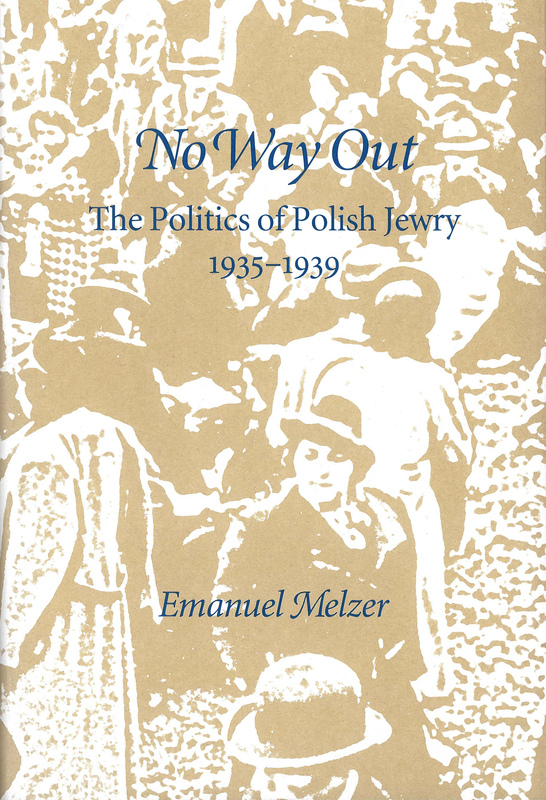 Melzer demonstrates that the vociferous Jewish public debate over questions of policy and the tenacious daily struggles against discrimination had little effect upon Polish Jewry’s deteriorating situation. Without charismatic leadership and an organizational framework based on common Jewish destiny and mutual identification, its ability to confront the grave challenges that lay ahead was seriously impaired. With the approach of war, many felt they were trapped with no way out, left to face the Nazi onslaught virtually alone. Emanuel Melzer is a scholar at the Diaspora Research Institute of Tel Aviv University, where he has taught Jewish history for many years and serves as co-editor of the journal Gal-Ed: On the History of the Jews in Poland. He was educated at Tel Aviv University and at the Hebrew University in Jerusalem and is the author of numerous studies on the history of Polish Jewry.